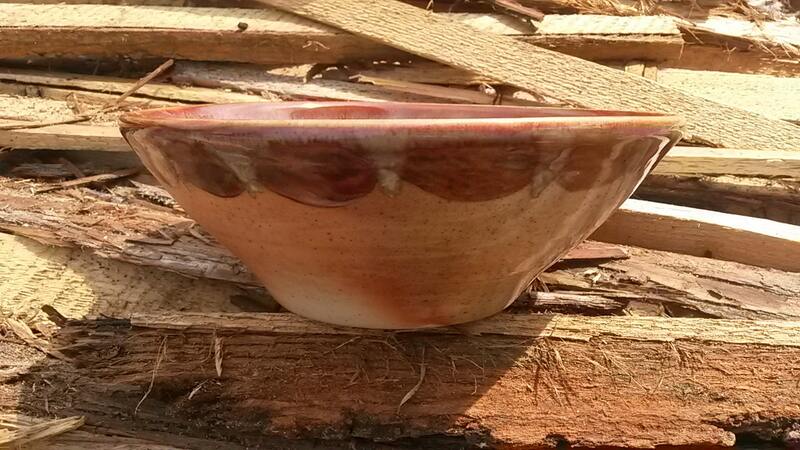 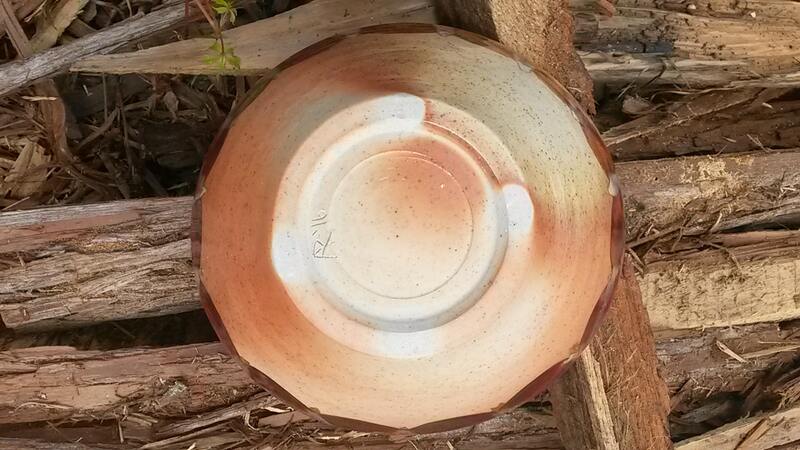 This wheel thrown noborigama wood fired bowl is glazed in a visually textured reddish beige glaze. 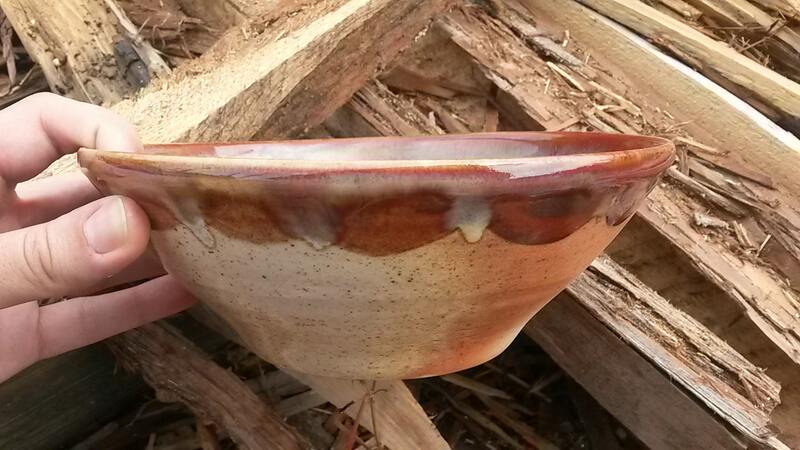 Bunting designs on the outer lip; the rest of the exterior was left raw, and the glossiness was developed in the firing process- wood ash and salt deposits created the finish. 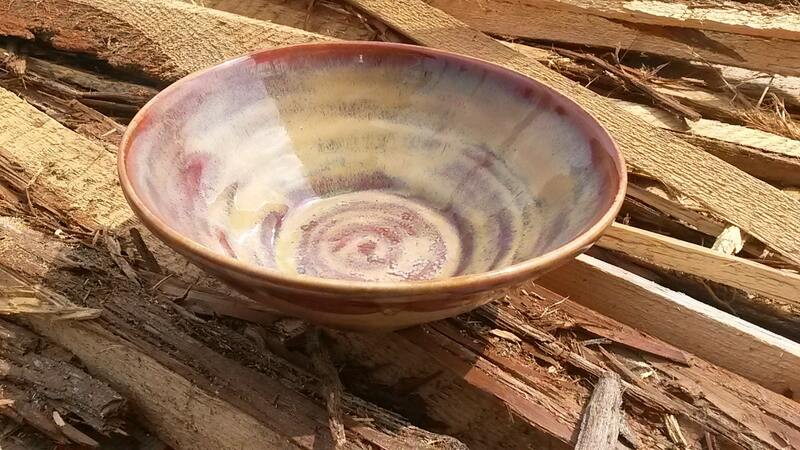 A great bowl for serving a side dish at your next dinner party.